Keep your Amazon Kindle Paperwhite safe from scratches, smudges and bumps. Keep your Amazon Kindle Paperwhite safe when you’re out and about with this Case with Sleep Function for Amazon Kindle Paperwhite. 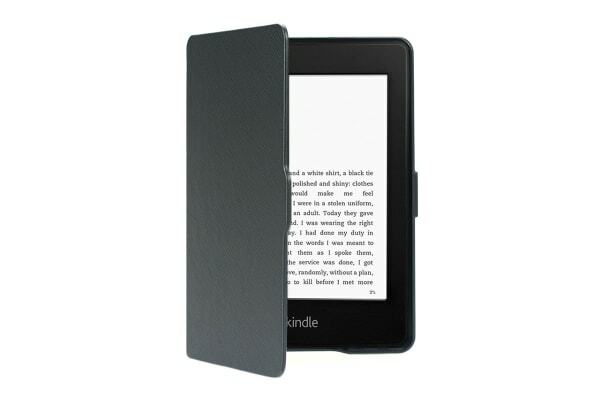 Enhance your e-Reader’s style with the classic leather look and durable construction. When you’re entranced in your book and nearly miss your stop, don’t stop to fumble with the power button or waste energy having it on in your bag – simply close the case and the sleep function turns your Kindle off automatically. Designed for Amazon Kindle Paperwhite. This case is not compatible with other Kindle versions. Works well and fits perfectly. it is protective to the e reader- looks neat.